As global tensions rise, the unthinkable now seems possible. The nuclear threat is real and frightening. WHITE LIGHT/BLACK RAIN, by Academy Award-winning filmmaker Steven Okazaki, presents a unblinking look at the first time nuclear weapons were used in war. After 60 years, the atomic bombings of Hiroshima and Nagasaki continue to inspire argument, denial and myth. Surprisingly, most people know little about what actually happened on August 6 and 9, 1945. This is a comprehensive, straightforward, moving account of the bombings from the people who were there. Featuring interviews with fourteen atomic bomb survivors (known as hibakusha), many who have never spoken publicly before, and four Americans intimately involved in the bombings, WHITE LIGHT/BLACK RAIN provides a detailed examination of the bombings and their aftermath. In a succession of riveting personal accounts, the film reveals the unimaginable destructive power of the bombs, the inconceivable suffering and extraordinary human resilience. 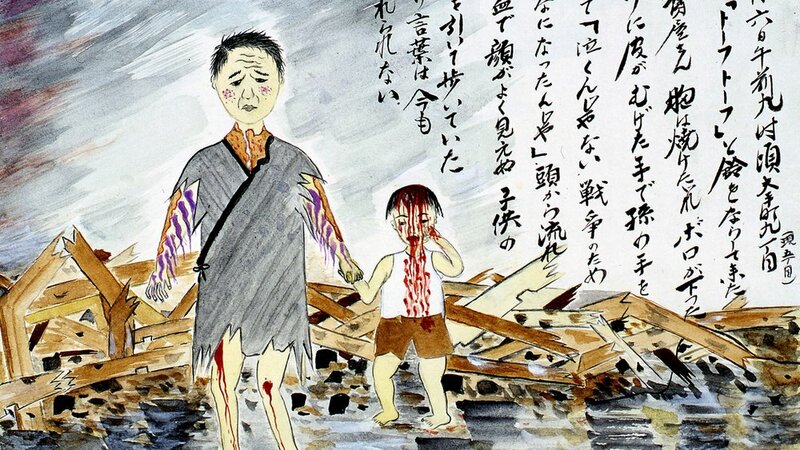 Survivors (85% of victims were civilians) not vaporized during the attacks (140,000 died in Hiroshima, 70,000 in Nagasaki) continued to suffer from burns, infection, radiation sickness and cancer (another 160,000 deaths). As Sakue Shimohira, 8 years old at the time, says of the moment she considered killing herself after losing the last member of her family: "I realized there are two kinds of courage — the courage to die and the courage to live." Other survivors include: Kiyoko Imori, just blocks from the hypocenter, the only survivor of an elementary school of 620 students. Shuntaro Hida, a young military doctor, saw the mushroom cloud rise, then rushed towards it to provide medical care. 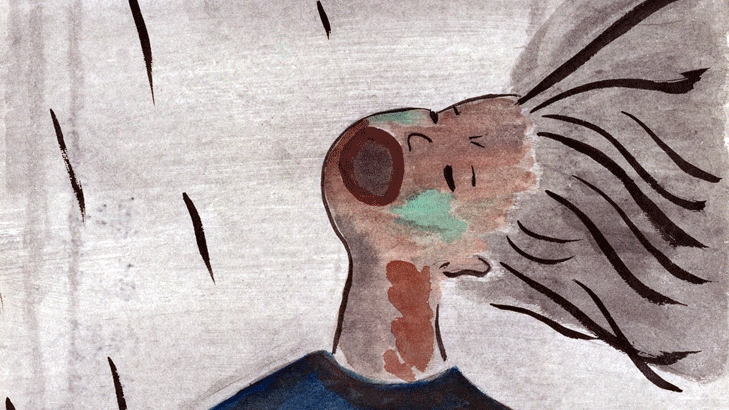 Keiji Nakazawa, who lost his father, brother and two sisters, devoted his life to re-telling their story in comic books and animation. Etsuko Nagano still can't forgive herself for convincing her brother and sister to come to Nagasaki just weeks before the bombing. With a calm frankness that makes their stories unforgettable, the survivors bear witness to the unfathomable destructive power of nuclear weapons. Their accounts are illustrated with survivor paintings and drawings, animation, historical footage and, photographs, including rare and never seen before material. Steven Okazaki met more than 500 survivors and interviewed more than 100 before choosing the 14 people in the film. He says, "Their stories are amazing, shocking, and inspiring." 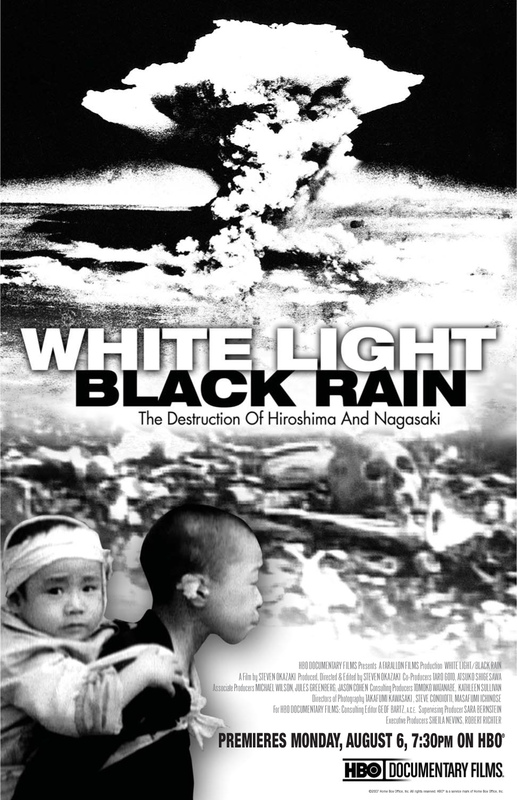 WHITE LIGHT/BLACK RAIN stands as a powerful warning that, with enough nuclear weapons to equal 400,000 Hiroshimas, we can't afford to forget what happened on those two days in 1945.